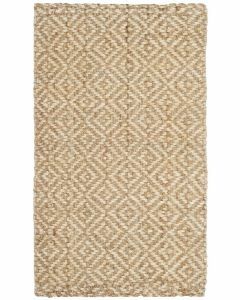 The organic simplicity of Moroccan rug weaving inspired this collection. Hand-tufted of the finest New Zealand wool in a natural fleece tone, this authentic nomadic design is at once contemporary and timeless. Measures 4’x6’. Click on images for greater detail.